Direct Kweken heeft méér dan 7.000 producten en hiermee een zeer ruim assortiment. Als jij jouw product niet vindt, laat je het ons dan weten? Direct Kweken biedt jou de laagste prijsgarantie aan. Wij controleren dagelijks de prijzen, maar indien jij het elders goed vind horen wij het graag. Klantenservice is voor ons erg belangrijk en daarom doen wij er dan ook alles aan om de klant te kunnen helpen en de goederen snel te leveren. Wij hebben alle bekende merken van kweektenten. enorme PAR en LUX waardes. je nodig hebt voor een goede start. Ziet u het product van uw keuze of uw aankoop bij een van onze concurrenten toch voordeliger, dan passen wij de prijs aan. Dankzij deze Prijsgarantie weet u zeker dat u nooit teveel betaald. For the period of growth. For each grower. 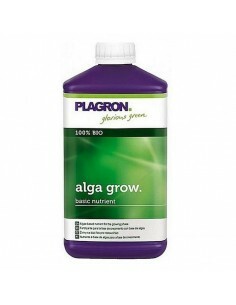 Alga Bloom is part of the basic power supply line from Plagron. 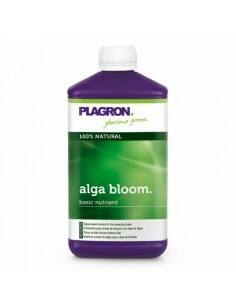 In the flowering phase Alga Bloom supports organically bloom formation on the basis of algae. 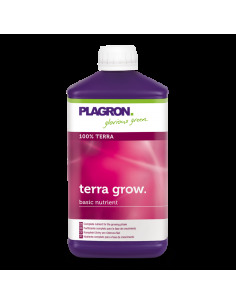 Terra Grow can be used in the growth phase of the plant. 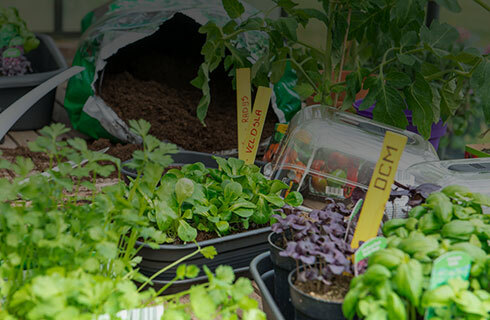 ProXL Iron is a trace element that is essential for all plants. It is mainly a component of enzymes and proteins. Bio Nova NoBurn / Free-Flow 250ml. 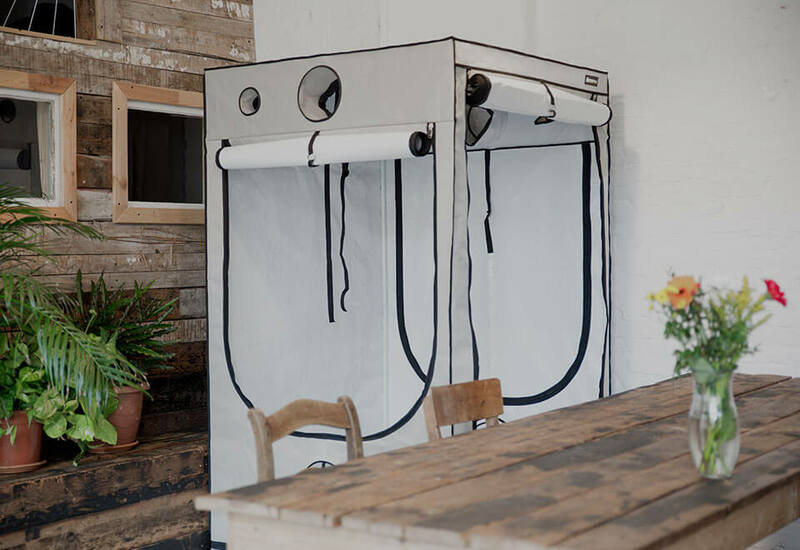 The Bio Nova free-flow ensures that the tension from the substrate is distributed evenly, so that the food and additives penetrate the substrate better. De optimale Ph – en EC-waarden voor kweek zijn afhankelijk van drie factoren, Het groeisubstraat (aarde of hydro), de voedingstoffen (plantenvoeding) en het water zelf. 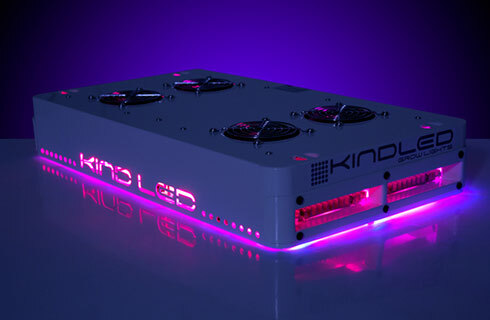 Voor bodemkwekers is een ph waarde van 6.0 – 6.5 perfect. Hydro en Coco kwekers zouden dichter in de buurt moeten zitten van Ph waarde 5.8. Op die Ph waardes kan de plant optimaal voedingstoffen opnemen. Replacement sensor for the Horiba LAQUAtwin NO3-11 meter. Replacement sensor for the Horiba LAQUAtwin Ca-11 meter. A.R.T.S Root rot 250 ml. A professional biological product from Liechtenstein from root with the active ingredient Fosphite (elictor). The active substance suppresses soil fungi by its unique mechanism of action. Velgro is a professional natural product against TRIPS and their eggs and larvae. Velgro comprises potassium salt (organic acid) and Ryania (extract from the wordtelstok of this plant). Velgro has the ability to erode. Aphids-0 consists of insects soap from Nitrate Salt and diluted alcohol solutions and is highly effective against insects that are exposed. A.R.T.S Flower Power Top booster 1 ltr. A professional organic spraying agent from the USA against SPINNING, also takes eggs and larvae of the cotton seed oil also solves the ragje on, with additional wetting and growth promotion. A professional organic spraying agent from the Netherlands for the prevention and suppression of bud rot BUDROT, rust and mildew (mildew usually starts with your intake of fresh air or at the door) with the active ingredient lecithin with additional wetting and growth promotion. This dried extract has been in use for years against the harmful nematodes in the soil, but does not affect the worms / piers. Terra Bacts operation is based on microbial processes that stimulate the existing beneficial microorganisms. 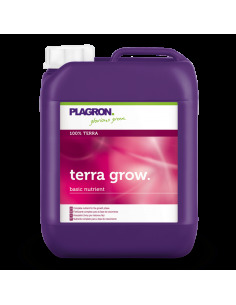 In addition, Terra Bact also rich in natural trace elements and growth-promoting micro-organisms. Alg-A-Mic is a biostimulator based on cold pressed concentrated seaweed, with therefore an extremely high content of trace elements, plant hormones, amino acids and vitamins. Alg-A-Mic can be passed to the regular diet water be sprayed. Aptus Tent set pro 50 ml. 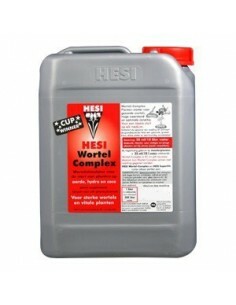 Hesi Root Complex 10 ltr. Everything starts at the root. If you make sure that the root is good, you go a long way. This product will ensure that the roots are well developed and increased the resistance of the plant. Hesi Supervit is a highly concentrated blend of vitamins and amino acids that improve metabolism and overall health of the plant. This results in a stronger growth and a fuller bloom. 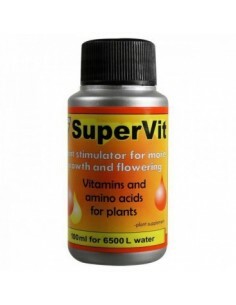 Supervit is suitable for all plants and applications.